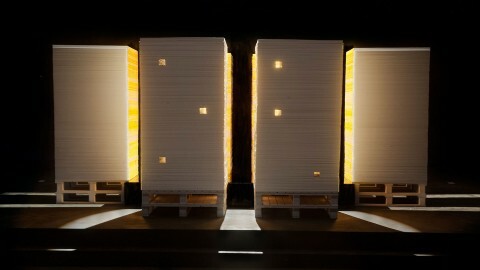 Just because your next project doesn’t require big quantities doesn’t mean you have to sacrifice on design. 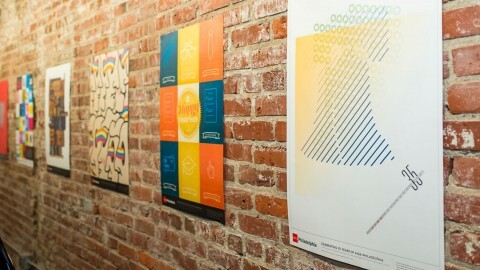 Let’s talk digital printing. 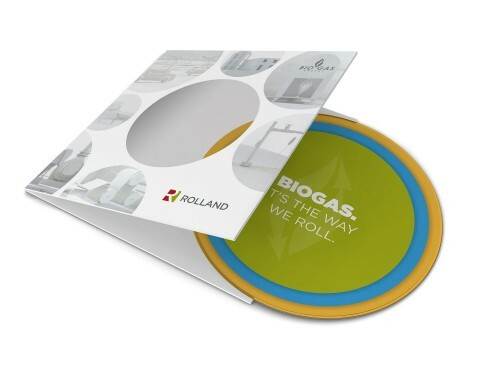 The ever-advancing technologies for both equipment and substrates have made this production process an increasingly accessible, cost-effective and creative option. 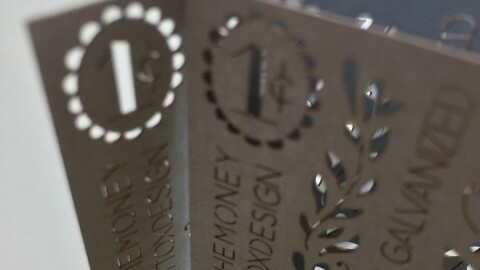 Designing for smaller projects in today’s digital market no longer means designers are locked into using generic, smooth, white, drab papers that don’t get attention. 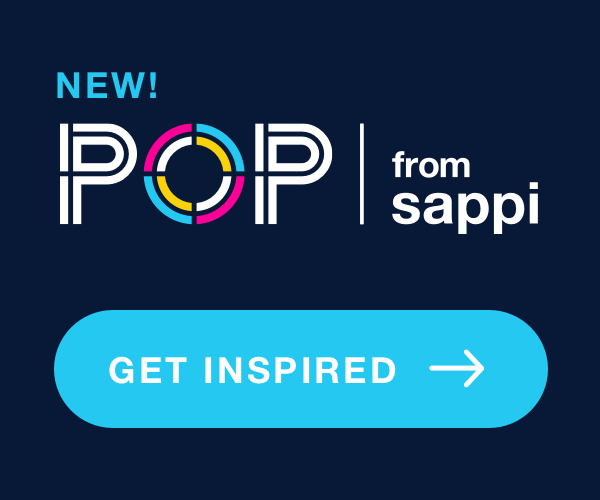 Research shows that the use of color, texture and weight increases response rates – thus increasing ROI. 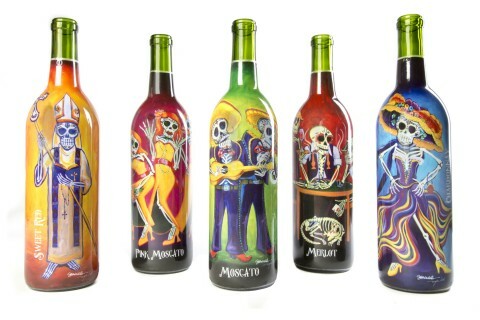 One advantage to digital printing is that creativity can remain cost effective, even for packaging. 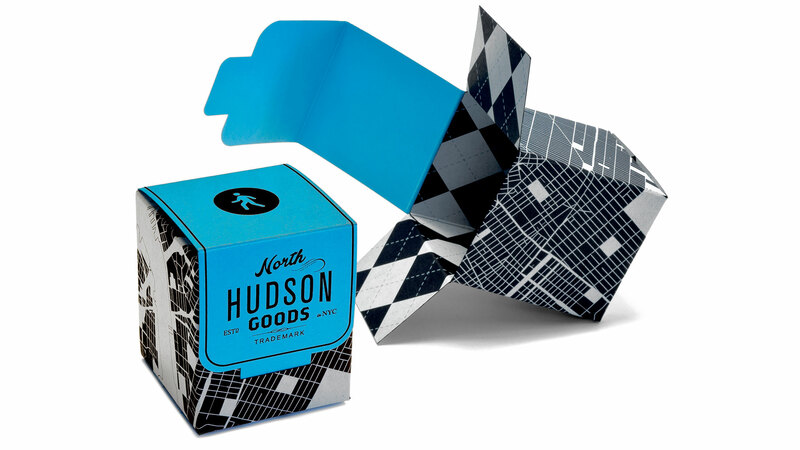 The North Hudson Goods box (above) found in “Explore 4” shows how easy it can be to create that “wow” factor with the use of colored paper (new Neenah Folding Board, Deep Black) and 4 clicks of opaque white ink. A tipped-on box lid printed on ASTROBRIGHTS Papers in Lunar Blue creates an added level of interest. 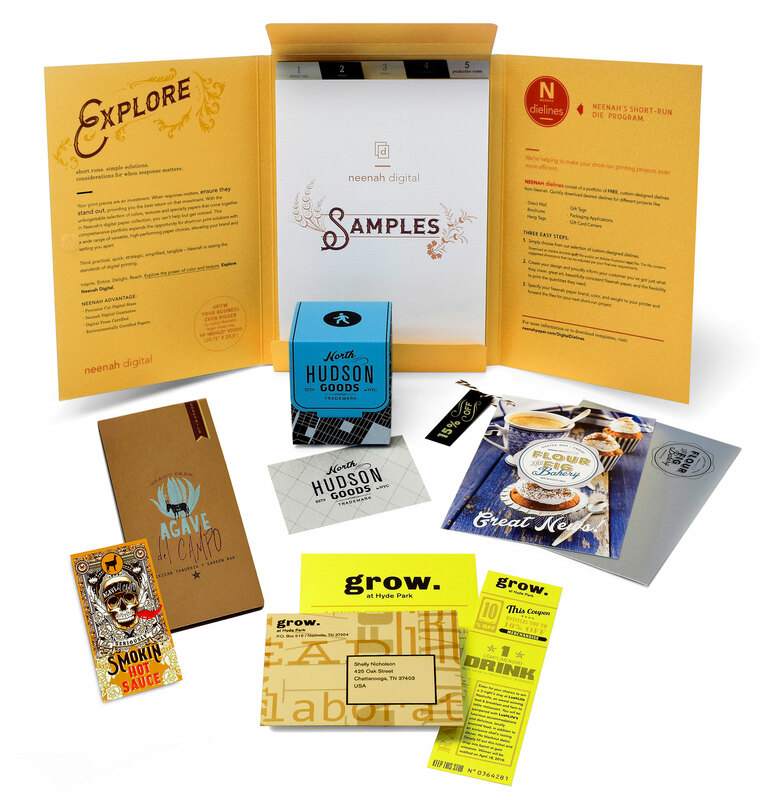 Digitally printed packaging is one of the most rapidly growing segments of digital printing. According to a recent Smithers Pira report, the digital print for packaging market is forecast to more than double from $6.6 billion in 2013 to $14.4 billion in 2018. 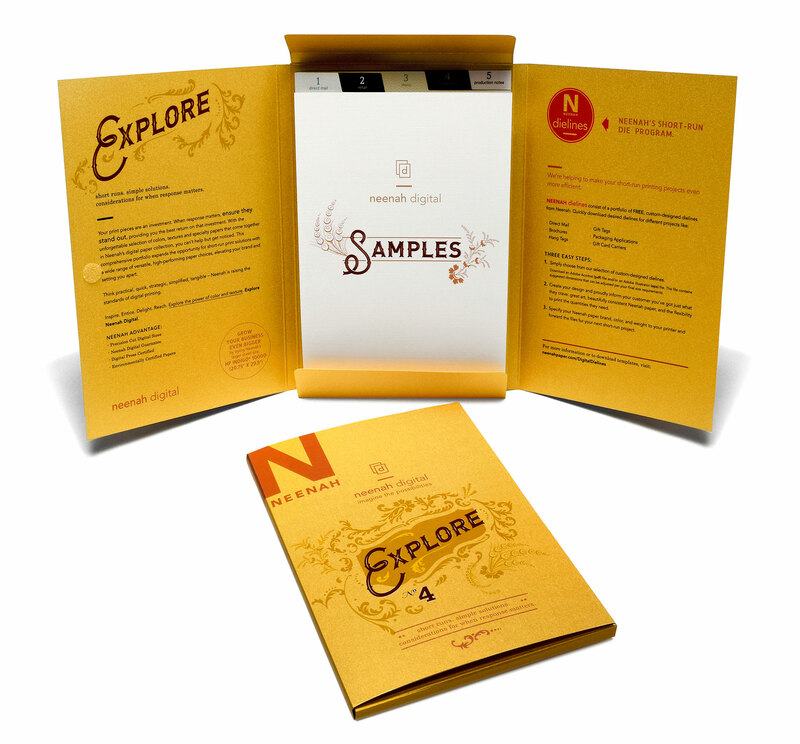 Digital printing for packaging is on the rise because technology is now allowing presses to print on thicker and more textured substrates, as well as the benefits it presents to creatives and brand managers such as customization, targeted marketing, special editions and reduced storage needs. 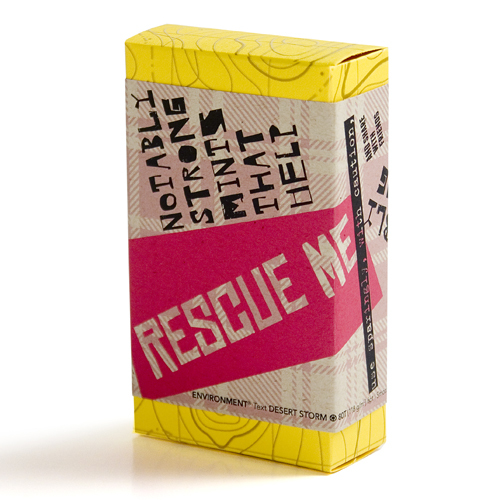 Designing short-run packaging projects doesn’t mean you can’t think outside the box. 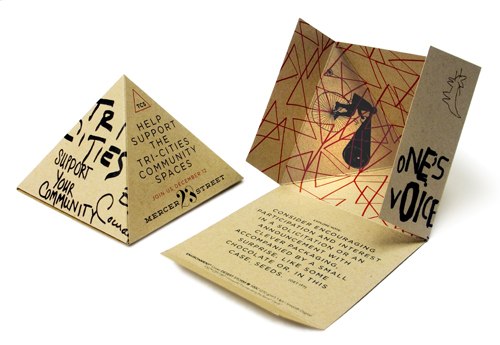 This package from “Explore 2” (above) uses a simple 4-color process, but relies on the shape and interactivity of the “box” to deliver a memorable and sustainable message on ENVIRONMENT Papers. As digital technology advances, so too do special effects applied with digital printing; raised ink is one of those effects. 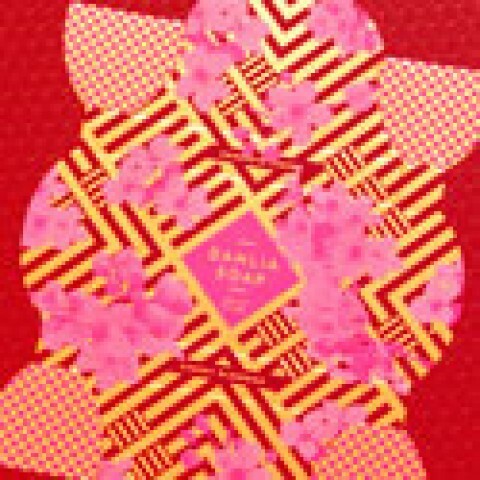 It’s a digital process where ink is applied layer on top of layer to create a raised texture that can emulate embossing or engraving. 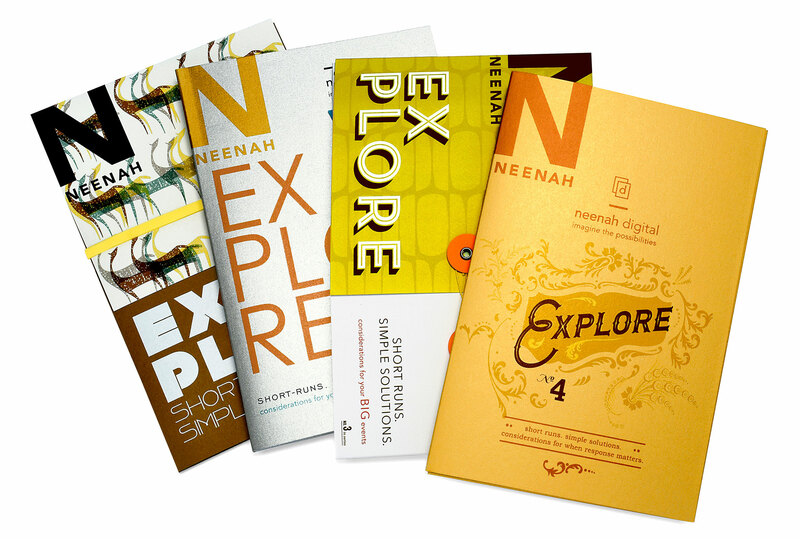 Raised ink on ASTROBRIGHTS Papers creates a stop-and-touch package from Neenah’s first Explore promotion.